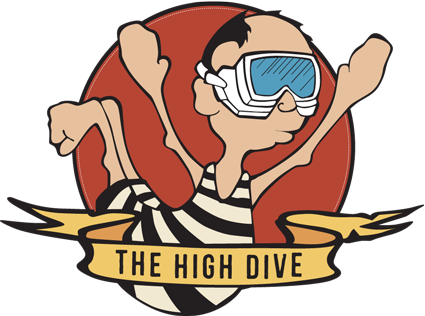 The High Dive is a loving San Diego neighborhood bar and restaurant, situated in the enchanting heart of Bay Park. We carry 20 local craft beers on tap and serve up an array of tiki-inspired cocktails! Enjoy some fresh air on the lovely outdoor patio or watch the big game inside. 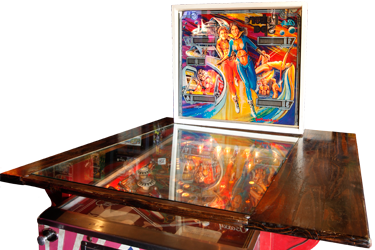 Play your favorite song on the jukebox or challenge Cookie to a game of pinball. Whatever you prefer, make yourself at home here, because that’s exactly what we are. The High Dive – your home away from home. Spreading positive vibes and love since 2006.